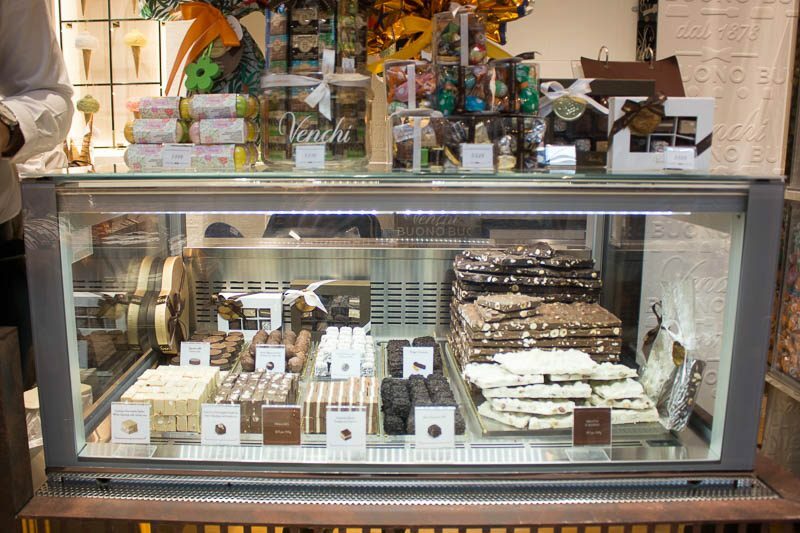 Venchi is no stranger to Singaporeans, known for their authentic and high-quality chocolates and gelatos. 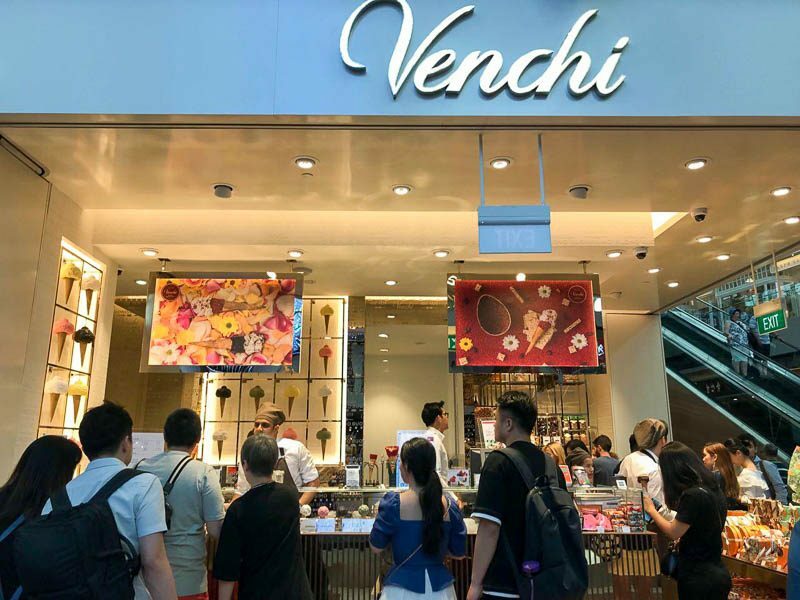 With all the famed food around the world making their mark in Singapore, Venchi too has opened a new flagship outlet at Marina Bay Sands. Curious to see what the difference was, we decided to take a trip down. The store was indeed grander as compared to their other two outlets in Takashimaya and Paragon. It was mainly furnished in white and gold, which exuded a royal aura. Their walls featured a mix-a-mix selection, as well as their latest Easter collection right at the front. 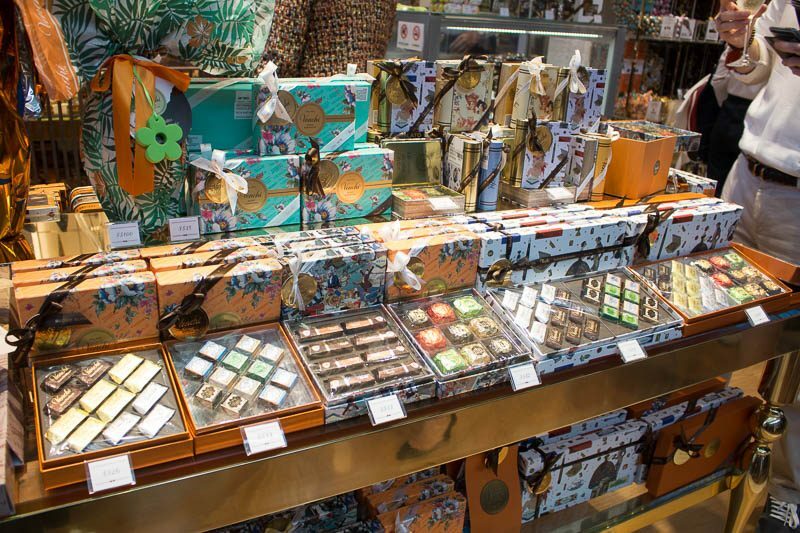 They also had delectable pralines and fresh chocolate shards on display at the back, which are priced according to their weight. What I really came for was their gelato, and I was elated to see a wide variety of flavour options. Their gelatos are stored in metal containers, which help to keep them fresher for longer. They were very generous with their samples, which looked so smooth and creamy as the scooper manoeuvred it swiftly from the paddle to the cup. We decided to go for their exclusive flagship outlet flavour, Allegro (mini with a choice of one flavour S$8, regular up to two flavours S$10, large up to three flavours S$12). This had a milk cream base, which was studded with delicious raspberry flakes and cocoa nibs. We decided to further elevate our gelato experience and got the Gourmet Cone With Grains (S$1.50) and Suprema XV Chocolate Spread (S$1). 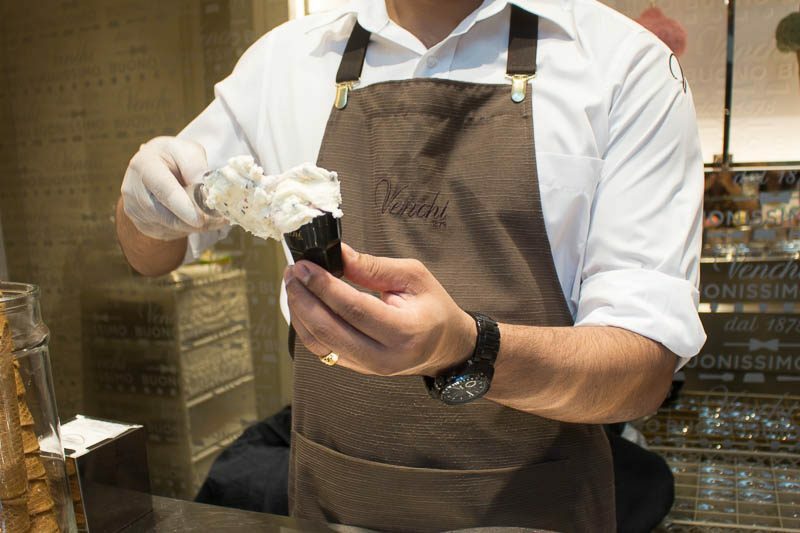 It was a sight to behold and the gelato itself was rich and creamy in texture. As I took the first mouthful, I was surprised how light and delicate it was in taste. It was the opposite of how it felt, and each bite was so pleasurable. The milk cream base was velvety smooth, with a distinct milky taste that wasn’t heavy on the palate. This contrasted with the tangy raspberries which were subtle but helped to cut through the slight sweetness and creaminess. I liked how the bitter cocoa nibs added a crunch to enhance the textural dimensions of the gelato too. 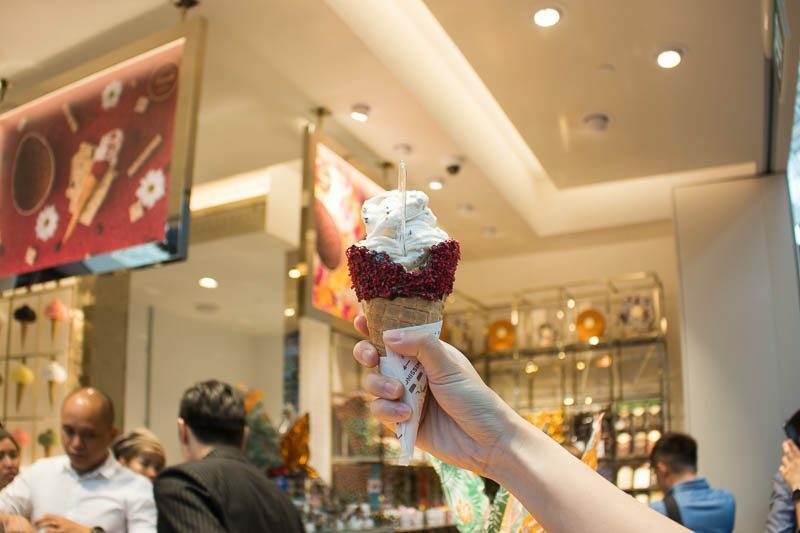 The cone was fresh and remained crisp the entire time, while the chocolate spread added a touch of hazelnut richness that complemented the tart berry grains. The exclusive flavour here in Venchi’s Marina Bay Sands outlet definitely did not let us down. 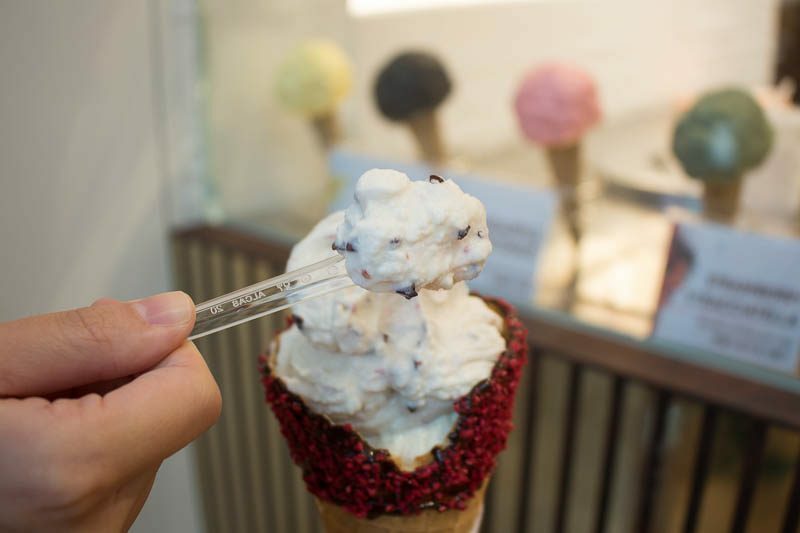 Their gelatos are indeed one of the best out there, with fresh and natural ingredients used in their products. I had their chocolates before too and they are absolutely divine. If you are searching to satisfy your gelato or chocolate cravings, I can attest to their taste that you will not be disappointed.